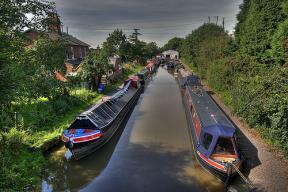 Norbury Wharf Limited offers both online and offline moorings at Norbury Junction on the Shropshire Union Canal. 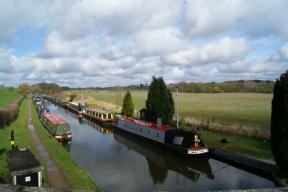 Winter, overnight, weekly, short term and long term moorings are available. Priority on engine services at set costs. Full boatyard facilities; open seven days a week. Our main line moorings were extensively improved throughout the winter of 2011/12. The canal bank is concrete piled with a 1 metre decked area with a 1 metre gravel path running the entire length of the moorings. Electricity and water are provided to some of the moorings. Car parking is provided on the rear of our main shop building. Our secure offline moorings are housed in the now disused Newport canal which leads just 100 yards to the Dry Dock. The canal bank has been steel piled and a wide gravel path runs behind this on both sides of the arm. Each moorings benefits from a metered electric supply and a water supply. Car parking is provided adjacent to the dry dock building.